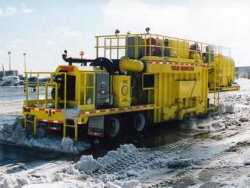 The Trecan 135-PD (135-PG) has a capacity of melting 135 tons of snow per hour, its two 12 million BTU / hr burners (24 Million BTU/hr) can melt 334 to 675 cubic yards of snow with an average snow density of 15 to 30 lbs per/ft. per hour. 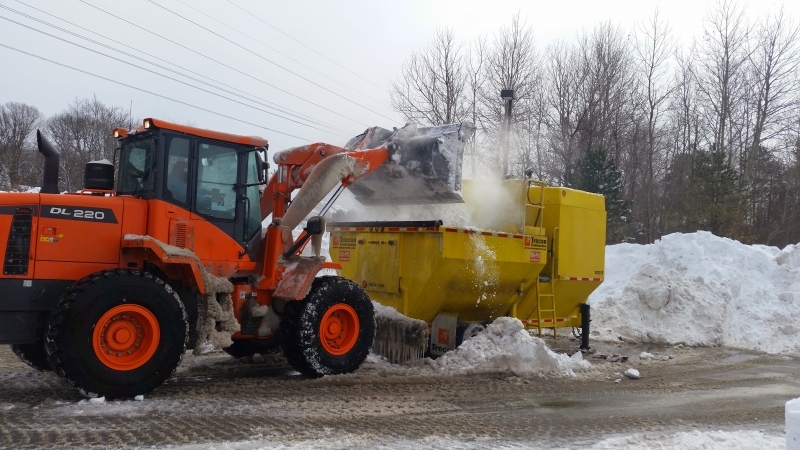 The model 135-PD (135-PG) is a side loading Snowmelter and the choice of many airports, city and municipalities. The Moscow region, cities of New York and St. Petersburg own Trecan 135-PD and 135-PG Snowmelters.